Unexpected… from India! – Go ask Alisa – DIY capsule wardrobe one stitch at a time! So… you already know my gentle vibe towards postcards! The sentimental feeling you get every time you pull one of those out of mailbox, the excitement you feel. They capture so dearly valued memories and I could not find anything else in the world, that would be as sophisticated as postcards. 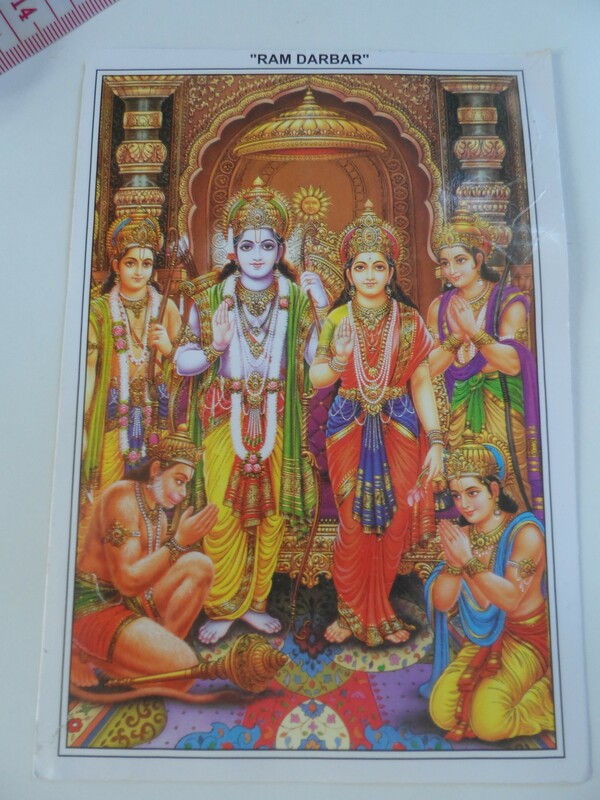 Recently, couple of days ago, out of the blue – I got a postcard from India! Pretty unexpected, huh? Looks like Sita-Rama in the picture, but then again, Lord Rama was greenish in colour. I love to find postcards in my mail box, this one is gorgeous! Previous Previous post: Selfish sewing: cappuccino top!